Thank you for visiting Central Health Chiropractic! 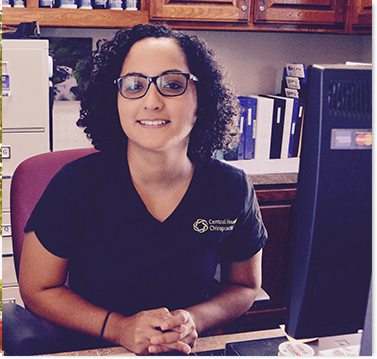 We offer the best in affordable, and practical chiropractic care, from a staff that is as knowledgeable as it is friendly. Expenses should be minimized. Healing should be the outcome, not a possibility. We help you to resolve acute and chronic problems in your body so that you can live life to the fullest. Move away from being a slave to your body, to becoming a master of it. To speed up the healing process, and to allow the body to function at its full potential; we adjust and fine tune the spine, and bones in a way that allows the brain to communicate properly with the rest of the body. Coming from a large family, young Dr. Edward Newsome learned a thing or two about both compassion and empathy. Health is something that we rely on, and after seeing friends and loved ones in pain, young Newsome decided to do something about it. This is probably where Dr. Newsome’s main goal: 'To provide effective and loving care for each patient, with the intent of a full recovery; without overcharging...' came about. With original ambitions to become an engineer, young Newsome quickly learned that his talents were better spent on fixing people and engineering health. After receiving a doctorate at the prestigious Parker College of Chiropractic, Dr. Newsome spent time in Colombia where he worked with Olympic athletes at both peak performance level, as well as disabled athletes, trying to get back in to the game. During this time, he learned a great deal about not only what interferes with basic human performance, but also ways to enhance physical performance, as well. After returning from South America, Dr. Newsome spent some time as a door-to-door healer. Paying his dues, and lugging that big, old chiropractic table around, house to house. During this time, he accumulated many lifelong patients, and several friends. 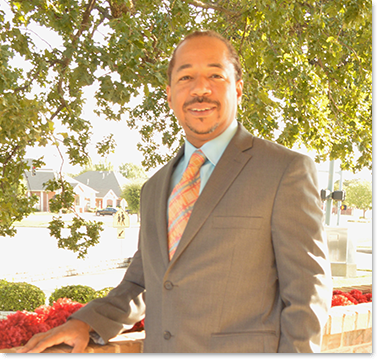 Finally, in September 2014, after a long journey in medicine, working under many different chiropractor mentors, Dr. Newsome was finally blessed to open his own office in Hurst, Texas. 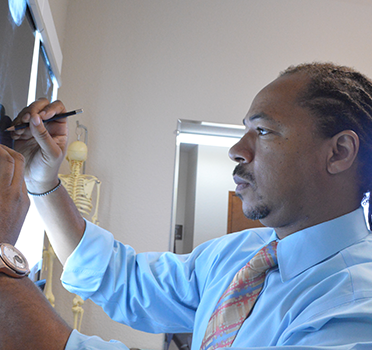 Choosing Central Health Chiropractic as the name, Dr. Newsome designed his clinic to be a one stop shop for health and wellness. In addition to featuring Dr. Newsome’s own comprehensive chiropractic methods and techniques, Central Health Chiropractic offers Nutritional Services, massage, and a complete assortment of wellness products to enhance the treatment experience. It truly is a place for the amazing community that one doctor built, with a heart and desire for health, for everyone. If you are a little sore, a little anxious, or just totally stressed out... Central Health Chiropractic, in addition to amazing Chiropractic services, offers in-office massage. Our trained, certified massage therapists are hand selected by Dr. Newsome for performance, as well as personality. We want you to feel like you and your needs are being met in a relaxing environment that soothes the spirit, as well as soul. Call us today to schedule a relaxing escape for either yourself, or a loved one! Whether you’re on the mend, or you’re just trying to maintain your health; we’ve collected a few items that we really know to assist. Approved, verified, and used by Dr. Newsome, himself. Take a look at top of the line supportive devices and supplements that we know to go a long way towards nurturing and maintaining your health. Save a little time, and avoid the phone! Fill out the form below to schedule an appointment for yourself, or a loved one, today! One of our staff members will contact you, upon completion, to confirm your visit and provide any additional instruction, as needed. At Central Health Chiropractic we do everything with belief in the body’s innate ability to heal itself. Copyright © 2017. Central Health Chiropractic. All Rights Reserved.